If you grew up in the fledgling Internet-era of the 1990s, you’d definitely remember the golden days of the AOL Instant Messenger (AIM). It’s the service that’s widely recognized as the pioneer of online messaging and screen names. While AIM stuck around for close to 20 years and consumed most of your teenage years, its popularity is swiftly fading with the rise of new and better messaging platforms. 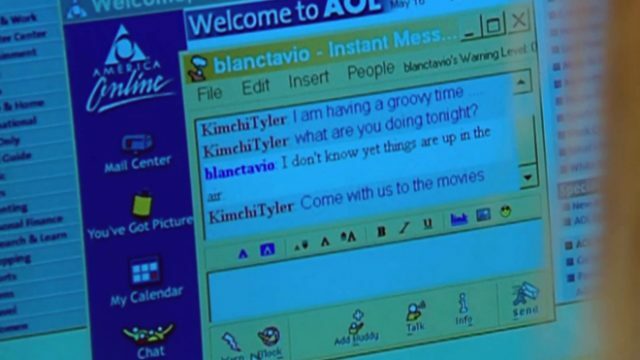 The death of AOL Instant Messenger is not something out of the blue and shouldn’t come as a surprise to you as AOL announced its decision to shut down AIM back in October this year. The company believes that AIM can no longer compete with modern chat apps as it only includes a set of phased out features. While it is hard to imagine anyone still conversing with friends on the old and clunky AIM, if you’re one of the few who still use the service, today is the final day for you enjoy the messenger one last time. You’ll be able to message your friends until the morning of December 15th, after which you won’t be able to access or sign in to AIM services on any platform. AOL will delete all the data pertaining to the service once it expires. Verizon-owned AOL, which has been rebranded to Oath after Yahoo’s acquisition, has no plans to release any alternative for their 20-year old instant messenger. 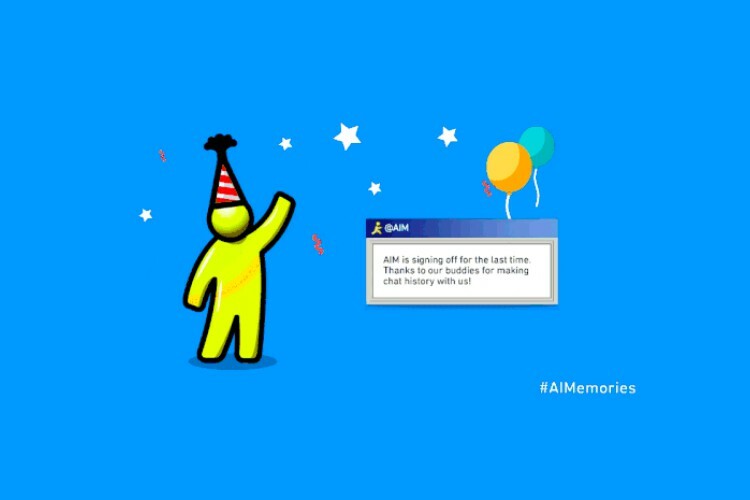 The company is only shutting down AIM and your @aim.com email addresses will still be operational. You can log into your AOL Mail account to send and receive emails but you’ll need a new messaging app to meet your needs. 1. WhatsApp: With over a billion monthly active users, WhatsApp is one of the most intuitive and easy-to-use mobile messaging apps to converse with your friends. Not only do you get the basic messaging functionality, but also a host of add-on features. 2. Facebook Messenger: As the name suggests, this is Facebook’s messaging platform that enables you to connect and converse with your Facebook friends. It is a standalone platform, separate from the core Facebook platform and includes games and bots as well. 3. Microsoft Skype: If you are interested in high-quality voice and video calls with your friends, then Skype will best suit your needs. Microsoft has made Skype available across the spectrum on Android, iOS, desktop and even the web. 4. Snapchat: Though it is a teen-centric mobile app that lays focus on ephemerality and Stories, you can surely give it a swirl to see if it will suit your needs. The company is now trying to simplify the UI to make the app more intuitive for everyone. 5. Google Allo: The search giant is also trying to seek a place in the cluttered messaging space with its cross-platform mobile approach. Google Allo is a smart messaging app that shows you suggestions within the chat and allows you to chat with Google Assistant. 6. Telegram: If you’re looking for an ultra-secure messaging platform, Telegram should be your pick. It is end-to-end encrypted, easy-to-use, and brings along a host of features with its web, desktop, and mobile apps. So, what alternative messaging platform do you plan to move to after AIM? Let us know in the comments down below.